Amanda doesn't know where she belongs and she's desperate to find her place in the world. She only feels at home with Rosie, who runs a very special bar with magical food, music and drinks. Amanda's friend Liv is getting married in South Africa. She's incredibly happy with her rock star boyfriend, which is something Amanda can only dream of. When she meets Mark, another musician, but less famous, Amanda allows herself to really feel for just a few days. Then she can go back to being a doctor. Amanda tries hard to win a residency in New York. She's always had one goal in life and that is becoming a surgeon. Is that what she truly wants or is she supposed to be somewhere else doing something different? Keeping in touch with Mark is difficult, he's like a dream, but he also has fans and he's getting plenty of female attention. He can't be the man for her. Will Amanda eventually find out what she's meant to do? Amanda has an incredibly good heart, which often overflows. She's emotional, caring and loving. She's also insecure and needs to find her place in the world. I loved reading about her search to find herself. She's determined to follow the path she's chosen many years ago, but is it still the one she should take? It was interesting to see where she would end up. Mark is a jovial guy with many friends and acquaintances. Wherever he is he's having a good time. I loved his calmness and cheerful personality. There's plenty of chemistry between the two main characters. Amanda has the tendency to run when things become too much and I kept hoping she would slow down and walk in the right direction eventually. 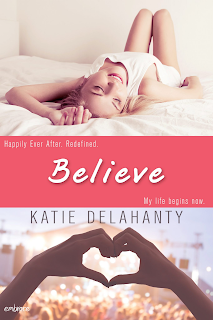 Believe is a lovely romantic story. It's a book that takes time to finish as it has a lot of pages, which are all definitely worth reading. It starts with a wonderful wedding and it ends like a fairytale. Amanda's journey isn't without tears and disappointment, which gives the story quite a bit of depth. I loved that she often allows herself to cry when she's emotional. She's a strong main character, she's driven, becoming a doctor is in her blood, she has dreams of her own and she never leans on anybody else. Sometimes she should let someone in though and I couldn't wait to find out what would happen if she would open her heart just a little bit more. I enjoyed reading Believe very much. Believe is the third Brightside book. 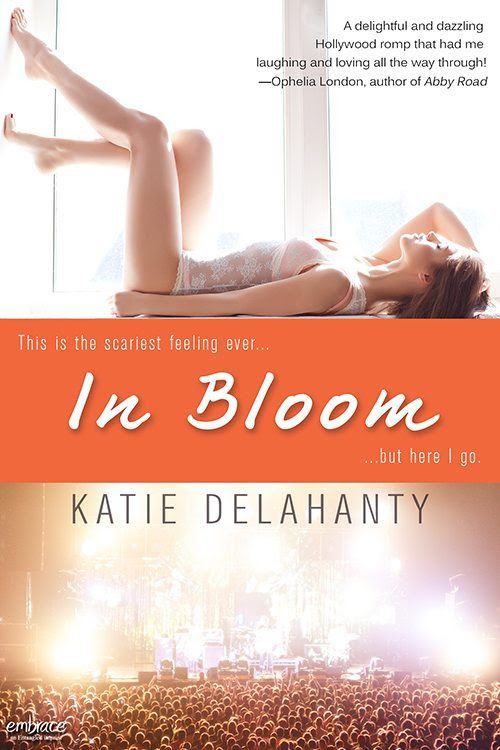 It's the first book by Katie Delahanty I've read and I liked it a lot. I think it would have been even better if I would have read the other two books in the series though. If you want to start reading this series I'd advise you to start with book one. Katie is a fashion designer turned novelist. She graduated with a BA in Communication Studies from UCLA and a Professional Designation in Fashion Design from FIDM. It never occurred to her that she was a writer until an economic crisis induced career shift from lingerie designer to ecommerce webmistress led her to start the company blog. 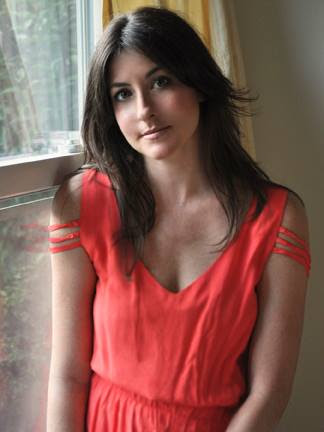 Not being an expert in lingerie, she decided to write the blog as a fictional serial starring a girl named Olivia Bloom who worked for the lingerie line. And that’s when Katie fell in love with storytelling. She hasn’t looked back since. Katie lives in Los Angeles with her husband. Don't miss the other books in The Brightside Series. It's strange how we assume that people who have highly responsible careers are somehow free from insecurities.